Music gift number one was really no easy choice for us: However, among 99 exciting music calendars this design "made" it. 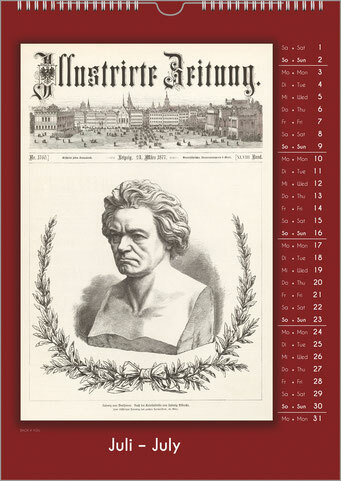 It is one of the "moderate hip" composers calendars. However there are more conservative calendars and there are cooler ones. So, if you have to decide, what matches better to the terms "music and gift", we actually don't want to make that easy for you. Music, music, music ... you connect almost nothing else with the name of Bach. But what about gifts? Gifts, better music gifts? You connect these much less to that term of Bach. So, that you may find our offer at all, we have to be really well at "being found on Google", just a little like the master composer back then was with composing. So, you are looking for a music gift, a gift related to the subject of music? For a musician, for a music fan, for somebody, who is learning a music instrument, for somebody who makes a living with music or just somebody who shares his or her love for music with you. Plus, you don't just look for such a music gift today, but you are looking for one for his or her birthday, in the time before next Christmas, Easter ... and actually somehow always? So, it's getting more and more exhausting, year after year. As the ideas in the world related to the matter of music and gift are not growing at the same speed as your demand does for such events. That is why we at "Bach 4 You" are convinced: If we get you here ... while searching on Google ... for "music + gift" ... than this website will definitely excite you. Plus our offer. Plus our music gifts. We wish you a lot of fun here. Actually you didn't want to be entertained, you wanted to get directly to the shop? That is possible here with just one click. Hit the blue shop button, please. Which fan of classical music wouldn't find this music gift breathtaking? 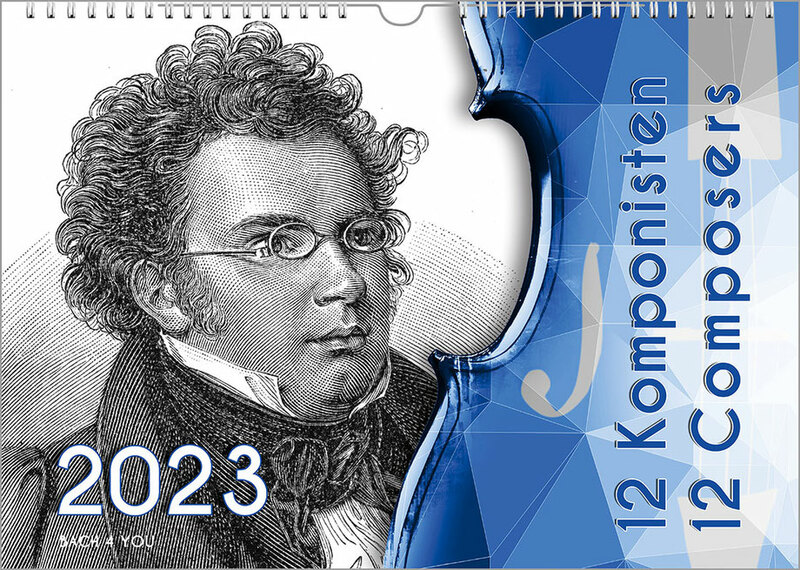 It is one of the value priced composers calendars. You can order this one in the publishing house "Bach 4 You". You get there with a click on the button. We Are Pretty Sure, You Are Interested in the Following! "Bach 4 You" has the following price model. There are just 2 different versions of calendars ... that is to say value priced calendars and hot off the press calendars. Value priced cost € 18.90 (8.3 inches by 11.7 inches), € 25,90 (11.7 inches by 16.5 inches) and € 35,90 (16.5 inches by 23.4 inches). You have no idea what 1 Euro in your currency is? Check with our currency converter real quick. Next are the hot of the press beauties. They cost € 25.90, € 35.90 and € 43.90 for the three mentioned sizes above. Handling and shipping costs add and the tax is included. 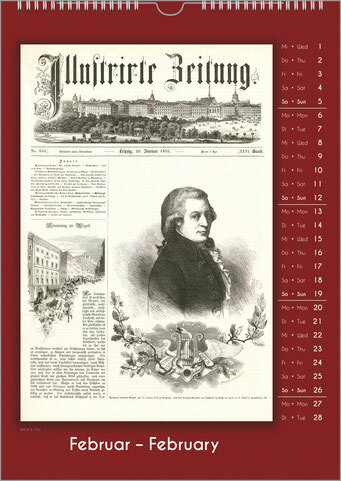 Music gifts: On this page you get all 12 monthly pages only of one calendar. That is, because it would be definitely unorganized, if we showed you all title page plus all 1,188 monthly pages here. Plus you probably would scroll your pointer finger sore. Plus it doesn't end with the 1,188 monthly pages of the music gifts, as there are 2 Valentine's Day calendars and 2 Mother's Day calendars, too. These four are "just allowed" as a music gift here, because on all those pictures music plays a big role. So, here and now please discover 99 + 4 calendars title pages and you will find the 1,188 + 52 monthly pages at a different part of this website. 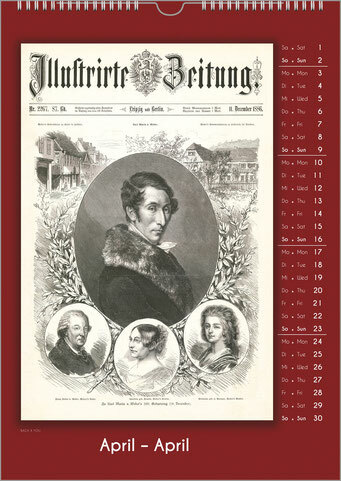 In brief: You know 50:50 calendars like they are sold in the USA, in bookstores and in malls plus via the internet. The upper part is a picture of kitten, landscape, cities, castles or whatever. And the lower 50 percent is a calendar, where you can note meetings, birthdays and more. So, the lower 50 % are sort of ugly, at least not beautiful. It's different when the calendar is European format or poster format style. 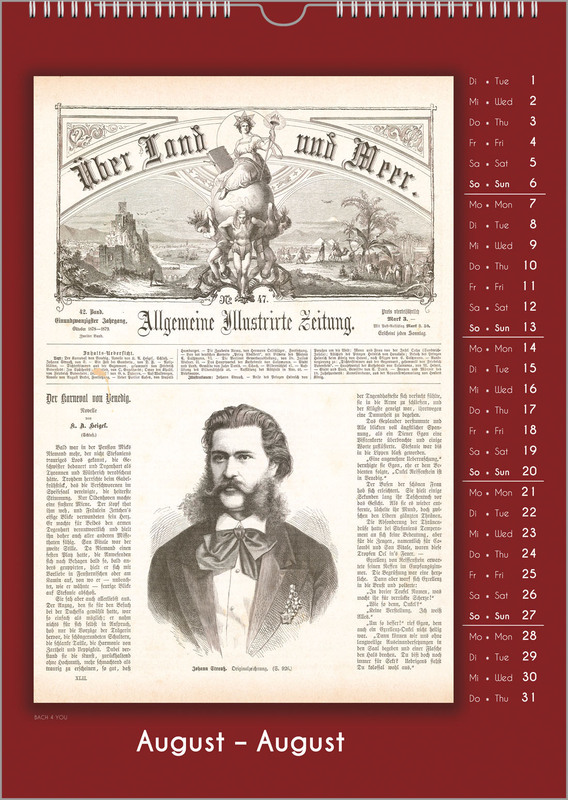 A European format style calendar is a decoration item and nothing but a decoration item. Yes, there is a small, actually teeny calendar portion, however the one and only important part is a nice large picture. Learn more about this on a special website page with a click here. 1. 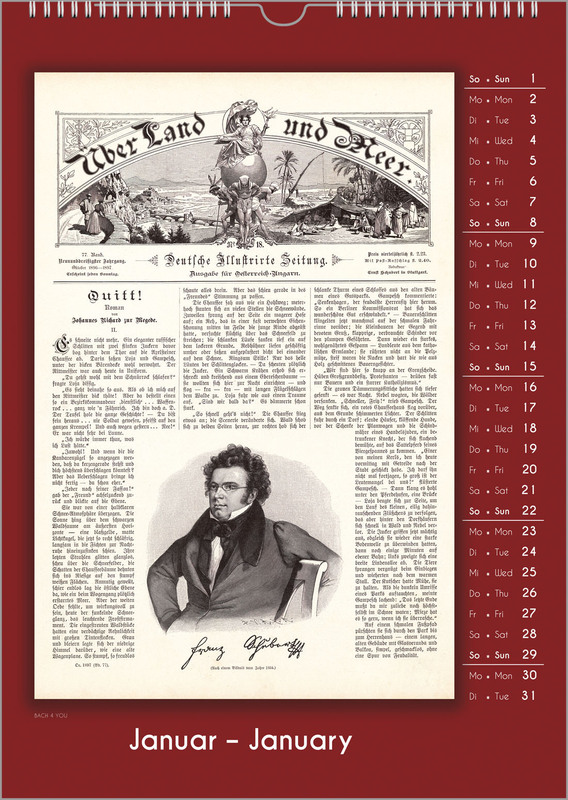 Music Calendars are Music Gifts! Music, music, music: 33 music calendars for parents and children, for grandparents and grandchildren, for godparents and godchildren. 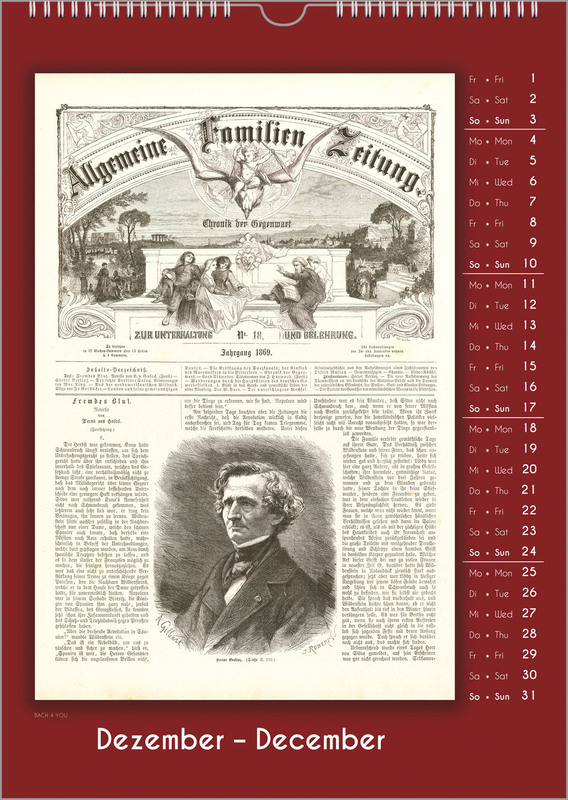 The first two music calendars above are the 2 value priced calendars of the publishing house. A Small Service: We Researched for You on the Internet. Where Do You Find Exciting Stuff Related to "Music + Gifts"? This paragraph is either for your entertainment, or it is a little support ... jump over it, if you are interested in calendars only. Music and gift ... or music and present: Two search terms. We looked around for you. 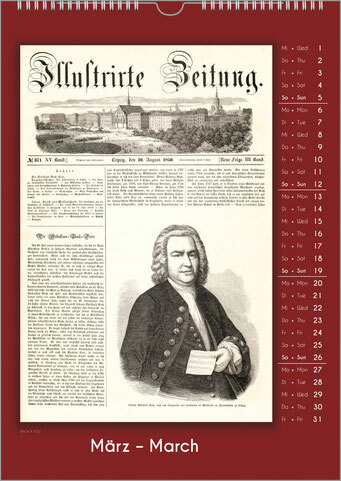 Initially there is one more different "corner" regarding gifts in the "Bach Mission", as gifts related to the subject of Bach are gifts related to the music as well. You think that's interesting? Then you get to the shop – here again – with a click. Plus we are present at Zazzle with our own shop: There you will really find an endless number of gifts. Of course for you ... related to the subject of music. What actually is Zazzle? Just picture a coffee mug, which you could hand as a gift. Of course this mug – mentioned on the brink – has nothing to do with music. So, back to our coffee mug. Every creative person and every artist in the world is now able to "transport" his or her artwork, his or her painting or his or her creation onto this coffee mug. So, that is how it works: We transfer – for instance a portrait of Bach – this picture, that is to say the data ... to Zazzle. And Zazzle puts it first onto the mug (... electronically only), next into its shop. To be found by you with the search term of "gift + music". Now, maybe, you like this coffee mug with exactly this Bach portrait on it. So, you want to purchase this coffee mug. You order and Zazzle produces exactly this coffee mug with exactly this Bach portrait on it and sends it to you. Of course, it doesn't just work with "our Bach" on mouse pads, too and on baseball caps and on ties. It works – for instance – on t-shirts, too. Just to give you an imagination of Zazzle: You will find – no doubt about that – hundreds of different t-shirts alone plus there are thousands of creative people with dozens of works to display these on those t-shirts. Just imagine, how many Bach portraits and paintings of composers came into being from our "Bach Mission". Multiplied crisscross that is trillions, if not quintillions of options. And that is true for the subject of music, too. It's pretty sure, there are even billion music gifts, if not trillions on Zazzle. 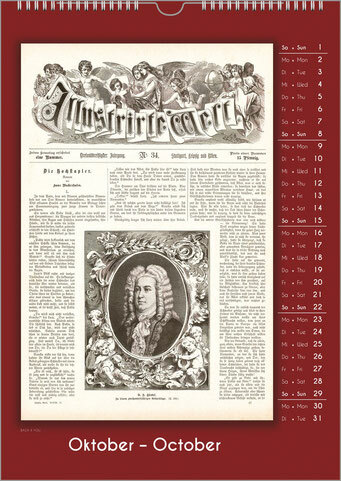 Here, you get to our Zazzle shop of "Bach 4 You" again, to find more music gifts and more gift ideas related to the subject of music. More portals work like Zazzle. Of course many items on Zazzle are the same ones on different internet websites ... however not all of them are. We are sure there are music gifts on Zazzle, which you don't find on CafePress. Dawanda and CafePress are the most known portals, that work like Zazzle. So, let's google together. What is on top of the results, which is number one on the page? And we now just want to check for the generic results. The Music Gifts at The Music Stand is number one. Next is Uncommon Goods, they advertise "Music Gifts, Ideas for Musicians and Music Lovers" and it's definitely worh a visit. Etsy is one of the big gift providers, too which actually belongs close to Zazzle, CafePress and Dawanda. However we introduce it here, it's not too late. A next one is "Music Treasures". "Music and gifts" offers 116 million Google results so probably the first page of Google is your best bet. A platitude? We want to end our suggestions for you here, however we have two more "secret insider tips". Try again "music + gifts" with Google, however next choose Google Images, and after that click Google Shopping. Both results are really cool as well. 2. 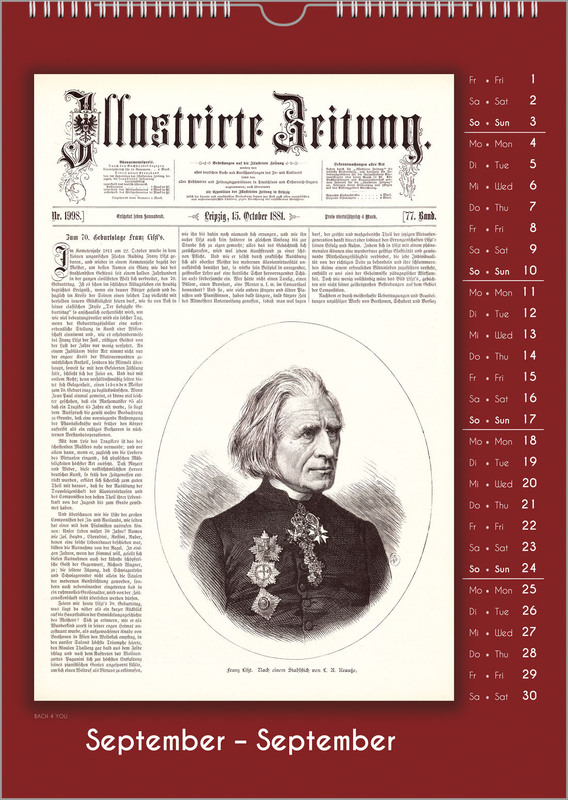 Composers Calendars are Music Gifts! 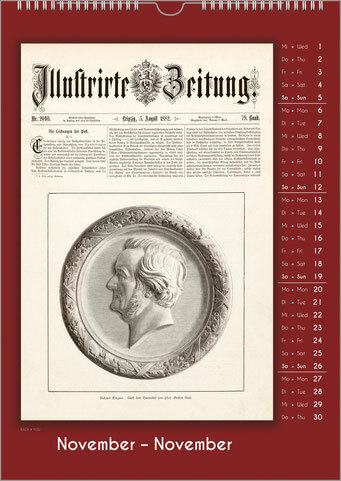 Music, music, music: 33 composers calendars, the first six are the value priced of the publishing company. 3. 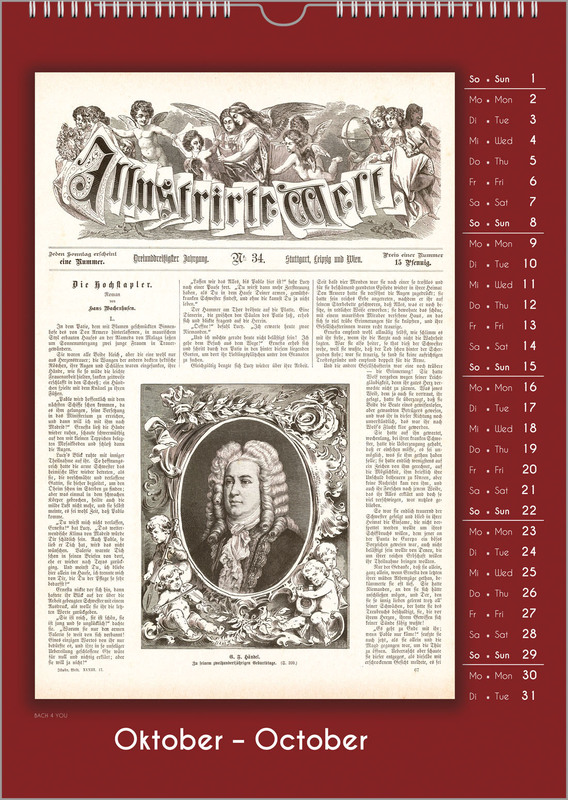 Bach Calendars Are Music Gifts! Music, music, music: The Bach calendars of the Renate Bach Publishing House "Bach 4 You". The first one, the monuments calendar, is the value priced calendar in this section. 4. 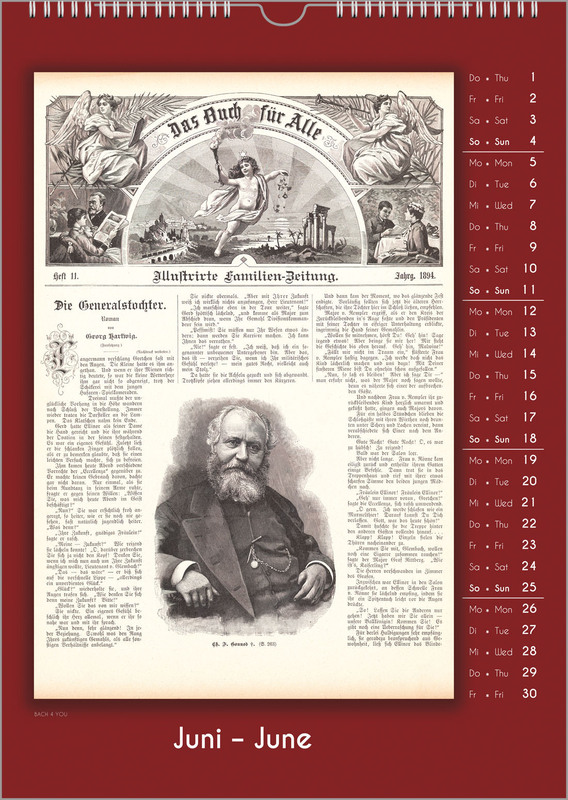 Music Calendars for Children Are Music Gifts! Music, music, music: Correct, you saw these motives already above. These pics here are the music calendars for children and for teens only. 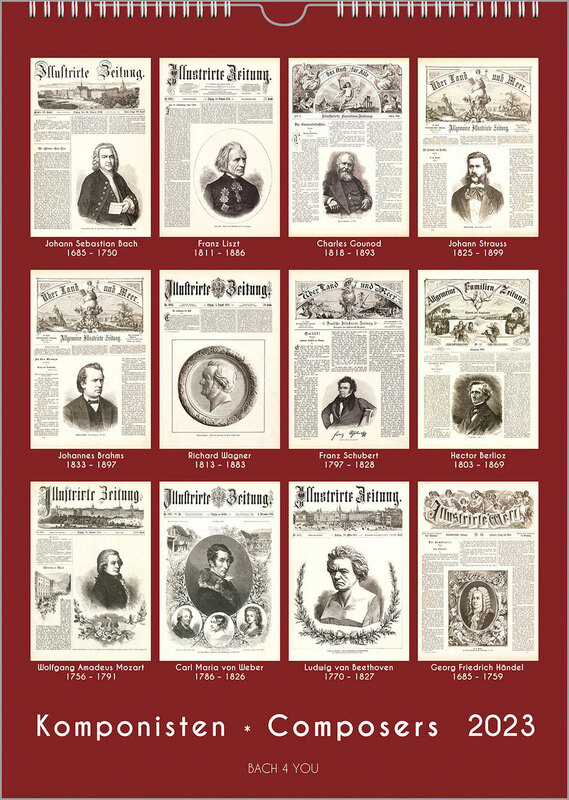 Put together from the three sections Bach, composers and music. Convenient, but confusing? Music, music, music: The first Valentine's Day calendar is the value priced one and that is true for the first Mother's Day calendar, too. However, however: That it true only for size 8.3 inches by 11.7 inches. In the two larger sizes all these 4 calendars are hot off the press calendars. Okay, or are you confused?! It's a pleasure for us: Both 8.3 by inches 11.7 inches cost € 18.90*, the 11.7 inches by 16.5 inches cost € 35,90* and the 16.5 inches by 23.4 inches cost € 43.90* . That is true for the 2 Valentine's Day calendars and for the 2 Mother's Day calendars. Number 2 in both categories for 8.3 inches by 11.7 inches is € 25,90* and the two large sizes are the same prices as above. Plus the little star (*) means: Please add shipping and handling, all taxes are included. You need the currency converter link again? Here you are. So, now? In the shop it's getting even more organized. Did we promise too much? Music gifts, music gifts, nothing but really cool music gifts? !